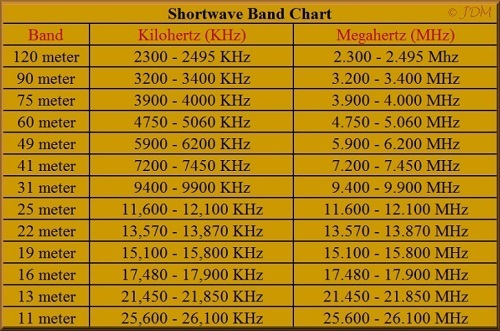 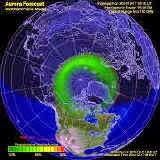 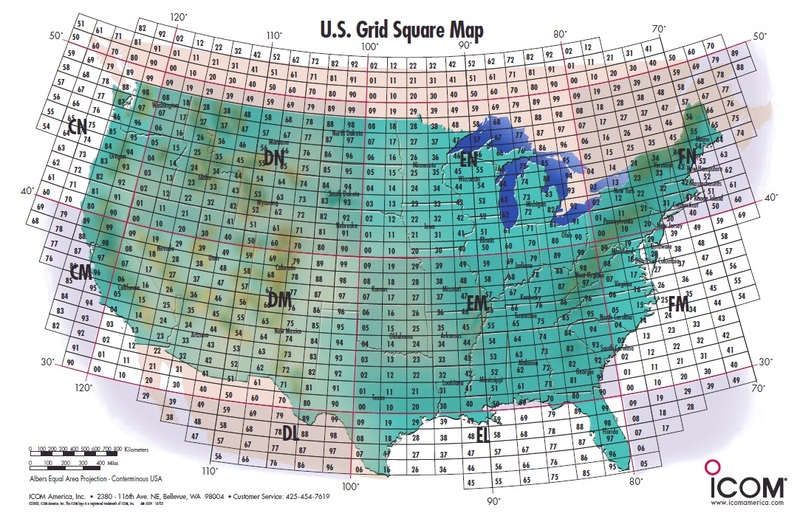 Over the past few months I’ve spent some time tuning around the international shortwave bands. 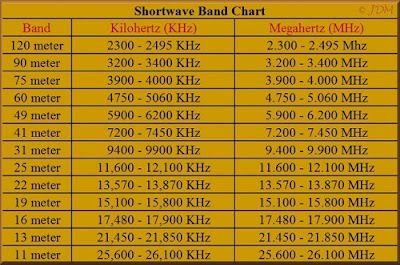 I vividly recall how jam-packed these bands were when I first discovered the magic of radio, back in the peak years of Solar Cycle 19. 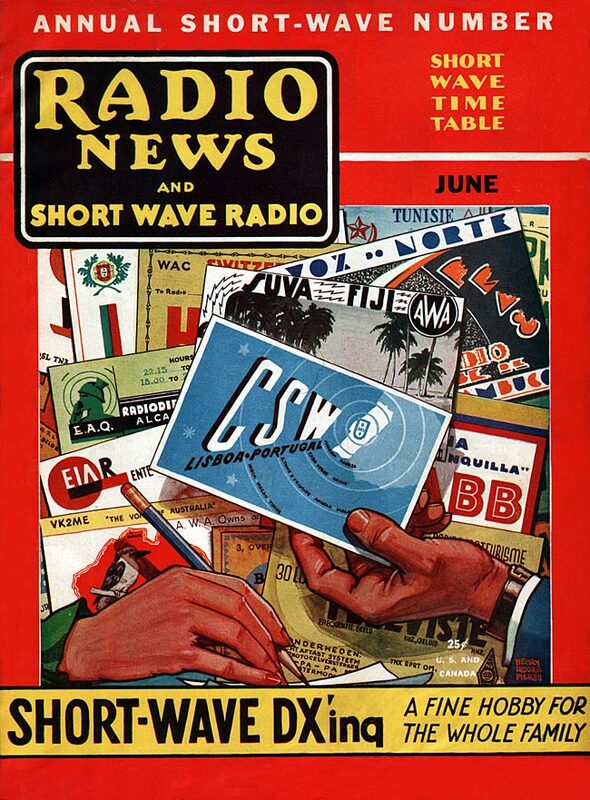 Much has changed in this part of the radio spectrum since then, but after having read so many dire comments describing the demise of international SW broadcasting, I was pleasantly surprised at what I discovered. 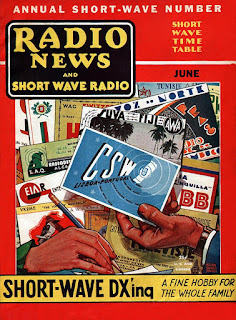 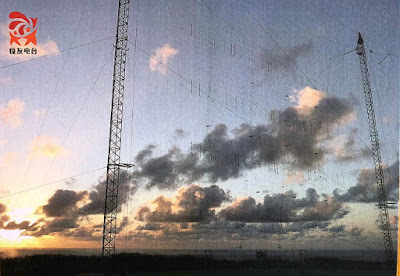 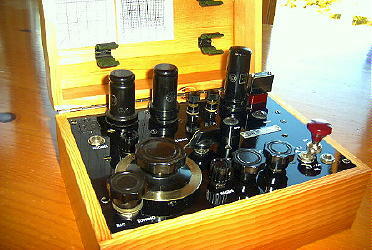 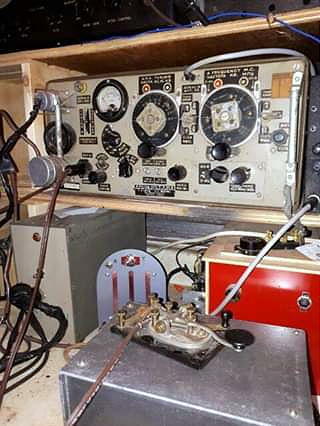 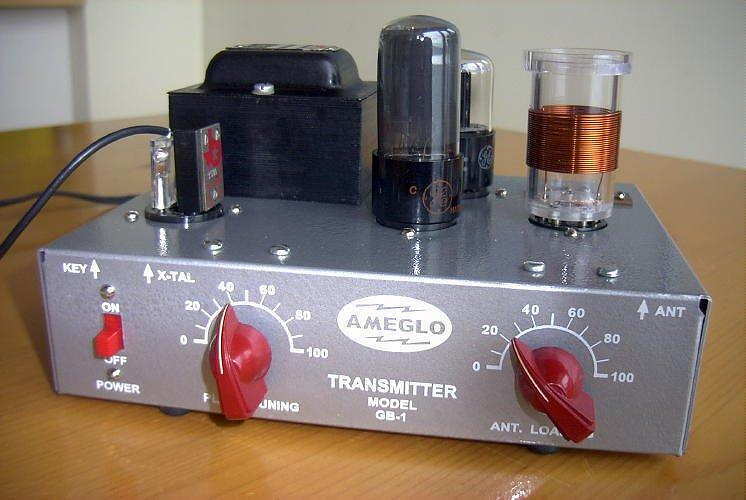 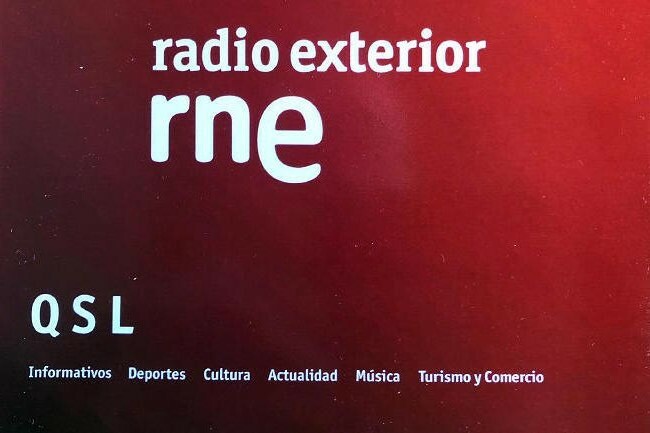 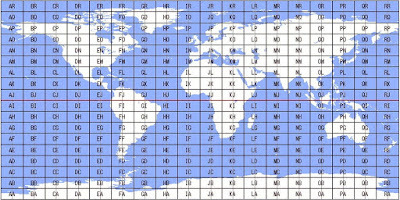 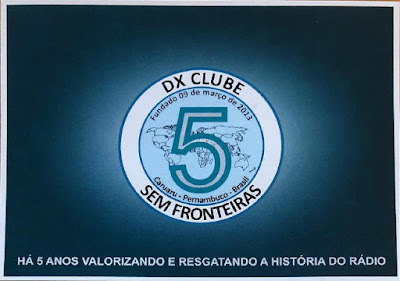 Although there are certainly not the large numbers of stations there once were, there is still a large amount of activity to be found throughout the various bands allocated to international SW broadcasting. 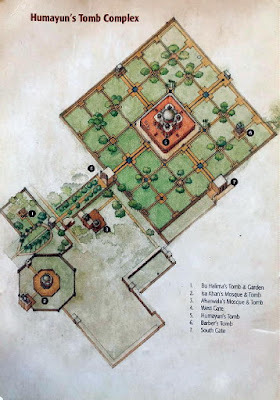 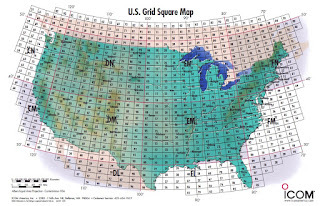 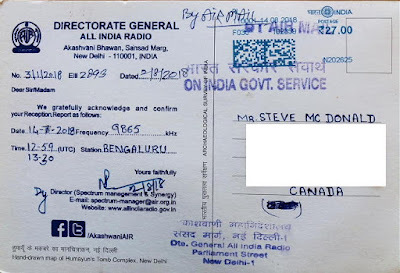 Trying to keep track of station schedules and frequencies is a hobby unto itself but now made easier with the availability of so many online information sources. 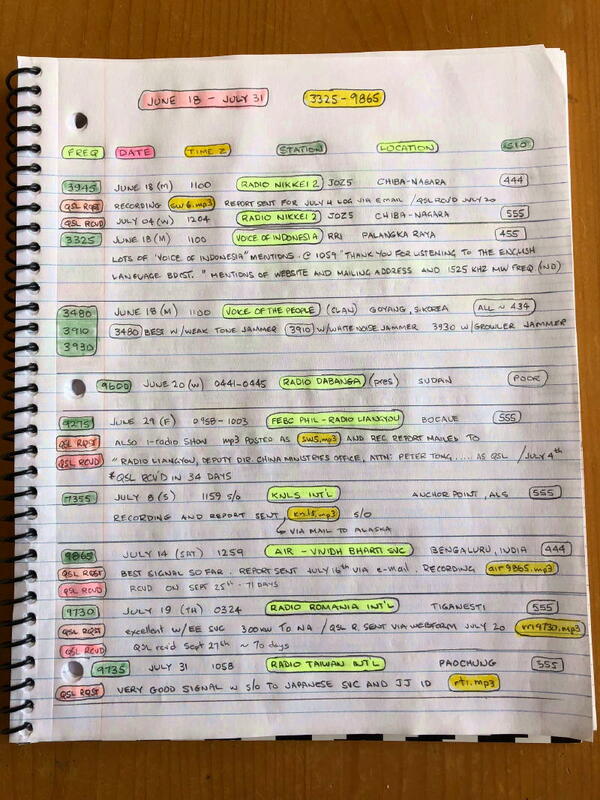 As when younger, I found the best way to stay organized was to keep a SW logbook, eventually settling on a simple ‘diary’ format which is still evolving. 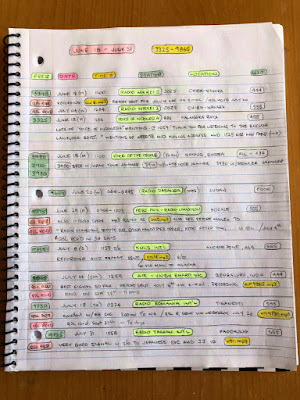 Its next refinement will be an additional notebook having separate pages devoted to each individual frequency within a given SW band. 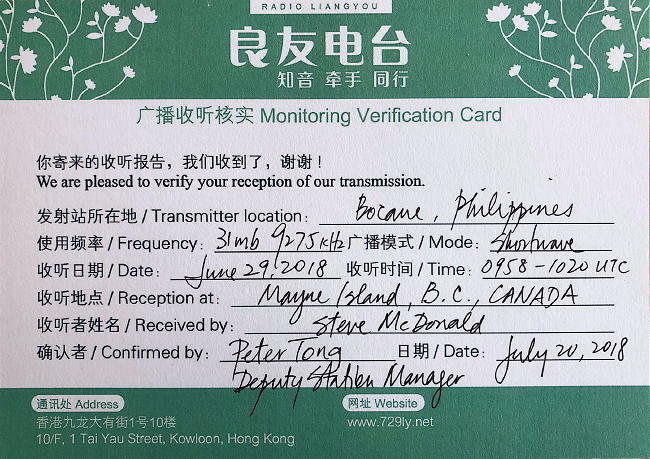 This will allow for updating frequency information from various postings of the daily online ‘heard’ reports. 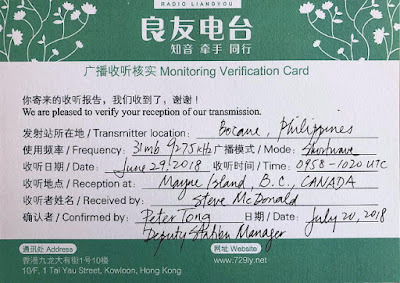 I’ve always had a great interest in QSLs and collecting cards was one of the things that initially attracted me to SW radio back as a pre-teenaged DXer. 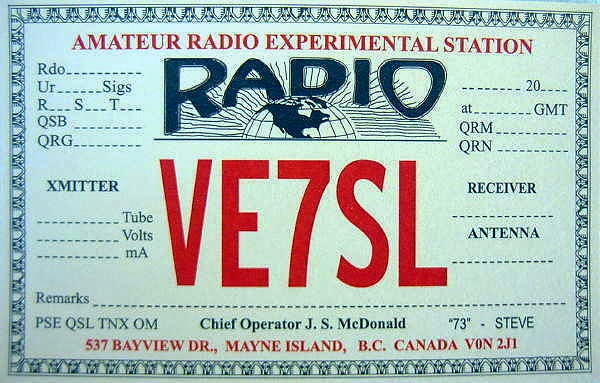 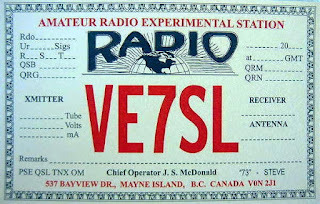 For me, not much has changed in the last several decades and I still enjoy QSLs ... the real, traditional cards, as opposed to the now popular e-card. 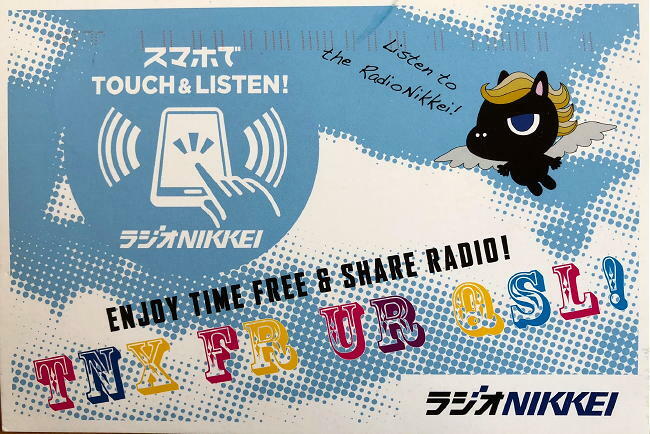 For me, an e-card just doesn’t have much appeal for some reason but for many others, they work just fine. 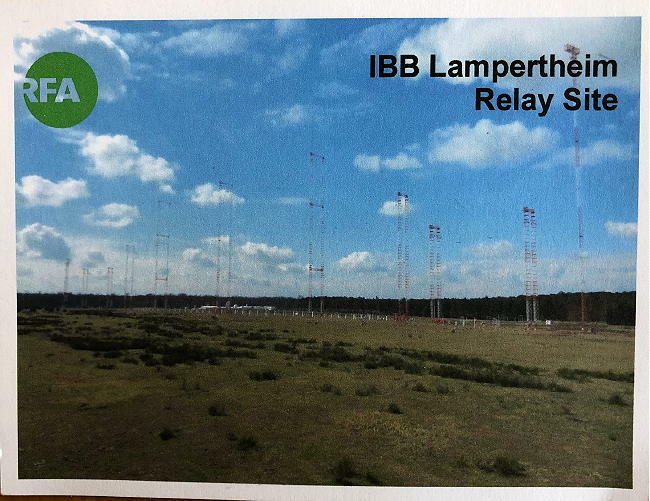 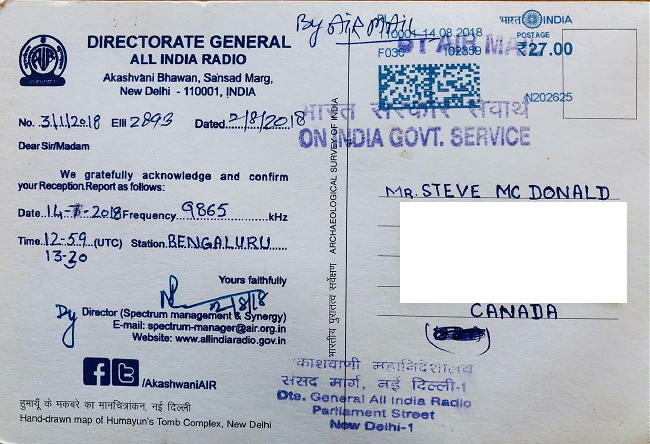 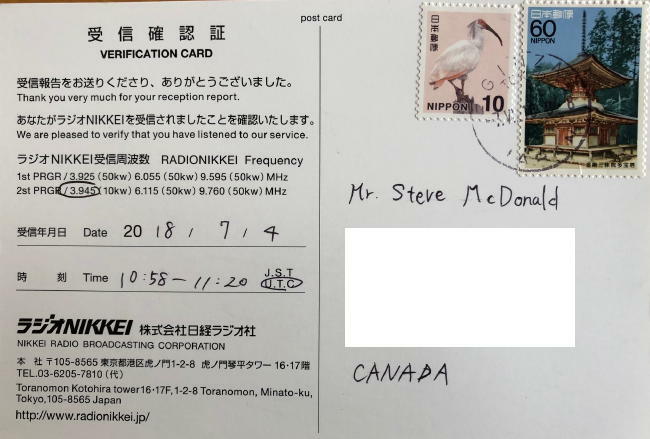 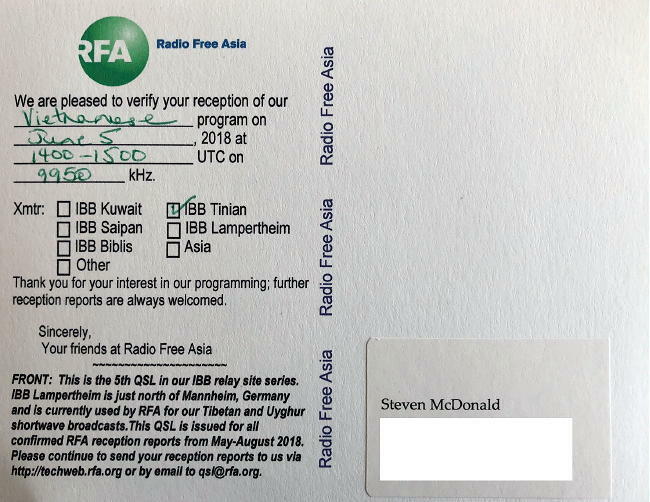 As I slowly re-learn much of what I had forgotten about SWL’ing, I discovered that there are still many SW broadcasters that will acknowledge a reception report with a real paper card ... just like the good old days! If you are keen on doing some serious listening, I cannot recommend the WRTH highly enough. 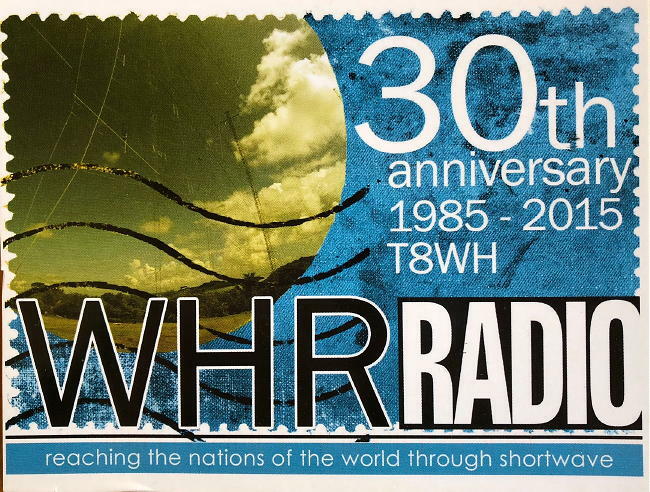 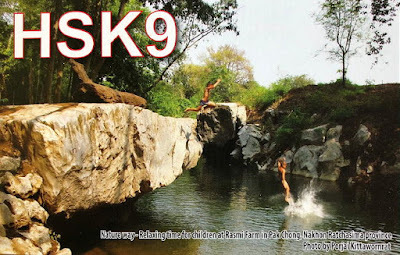 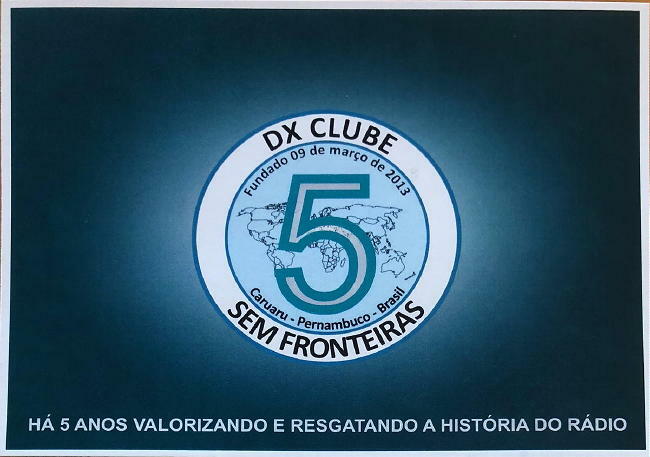 Studying the latest WRTH revealed the QSL policies of most international as well as domestic SW broadcasters as well as contact information. 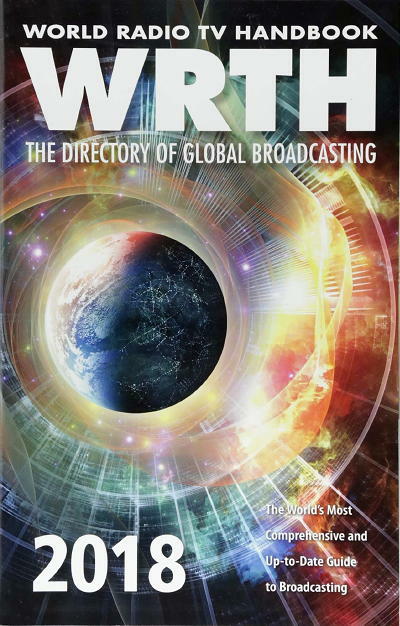 It is a superb annual reference and well worth the investment! 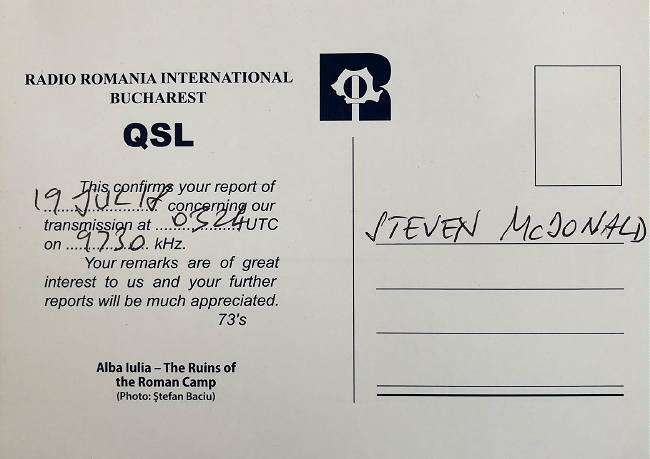 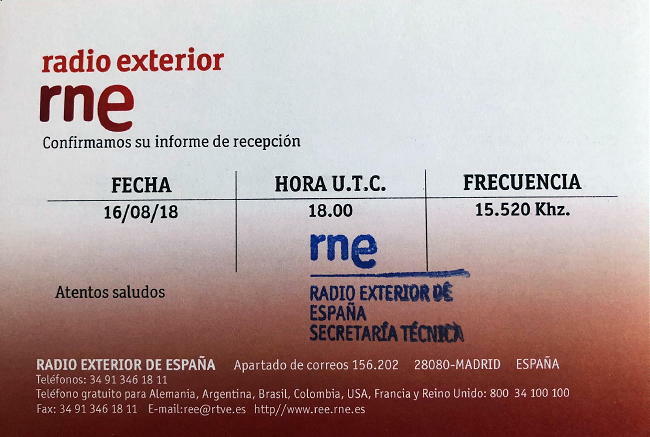 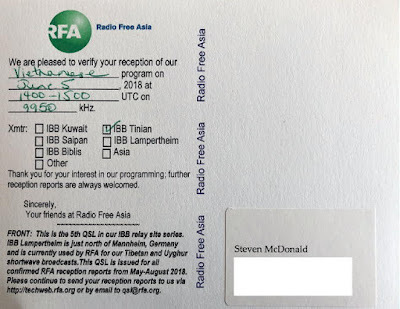 With this information in hand, my listening has become more focused on recording and submitting reception reports to those stations still practicing the courtesy of acknowledging reports with a traditional QSL. 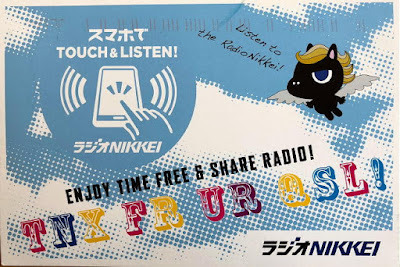 Many stations also issue an e-card, but these are of little interest to me at present. 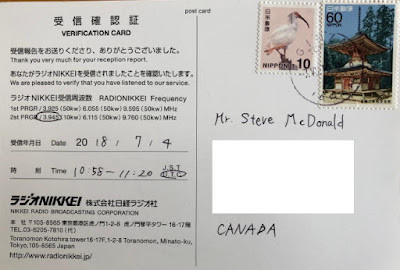 I’ll do an upcoming blog on some of the great information and online sites to support international SW listening activities.